Build homes. Create jobs. Become the greatest mayor in the history of America Town! 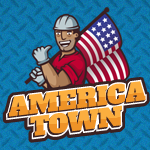 Join MocoSpace and you'll be playing America Town in no time! Just add a few more details and your account will be ready!